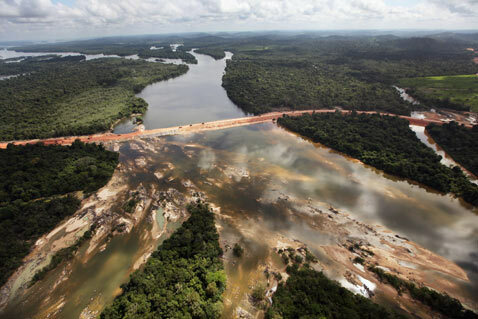 The Belo Monte Dam project along the Xingu River had its preliminary plans drawn under Brazil’s military dictatorship and was a highly controversial environmental project from the onset. However, construction of the dam has continued despite its serious backlash, mainly due to the influence of Brazil’s developing economy. But the indigenous population along the Xingu River is increasingly concerned about their fate, as the dam comes with a high potential for environmental degradation and the establishment of new communities on their land. Brazil’s 2011-2020 energy-expansion plan is decisively dependent upon output from Brazil’s large hydroelectric dams, and the Belo Monte Dam is projected to bring about a 22 million home surplus once the Brazilian government completes the project. [i] It views the dam as a vital and legitimate development project, one that is projected to sustain economic growth as demands for dependable water sources, power generation and irrigation systems increase. [ii] However, the dam is charged with threatening the religion and culture of the Xingu Indians, or the set of beliefs that they deem essential to their civilization, and even worse, their very existence. 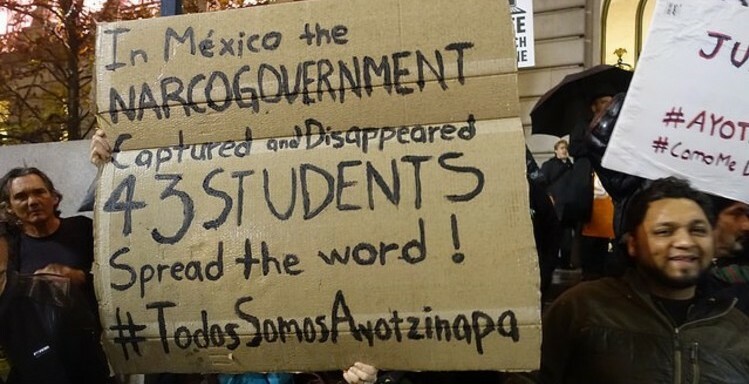 A video depicting the Drop of Water Movement was posted online on November 16, 2011, in attempts to involve more Brazilian citizens in the construction plans of the Belo Monte Dam. 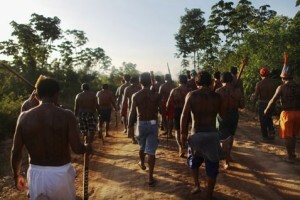 In response, close to a thousand indigenous people from the Amazon region participated in a week long protest outside the Brazilian Congress to express their grievances regarding human rights violations, including the lack of consultation in the Belo Monte Dam project, especially concerning land titles. [xviii] When lobbying for the Guarani-Kaiowa tribe’s land, the son of the tribe’s former chief Valmir Gomes stated, “we’ve gone through many difficulties, and I can’t even walk in the cities because of the risks,” and “we need the demarcation so that we can freely walk on our own lands.”[xix] Such statements underscore the indigenous’ need for land titles so they do not have to live in fear. 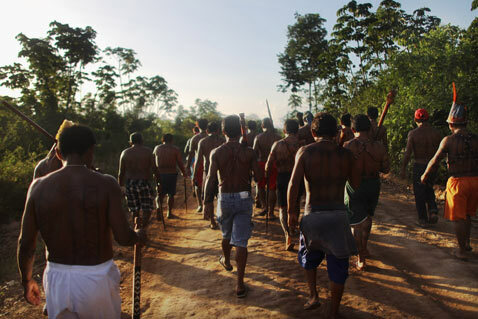 Threats to the Xingu Indians mount as the government attempts to continue construction on the Belo Monte Dam project through investment programs such as Brasil em Acão and the Program to Accelerate Growth. [xxiii] As previously explained, the Brazilian government is going forth with the construction of the Belo Monte Dam to further its energy expansion, but according to the non-profit organization Amazon Watch, during the region’s dry season, the dam is only able to utilize 39 percent of its total capacity, resulting in the sure devastation of the Xingu natives’ lives, culture, and natural habitat at the hands of this energy-inefficient dam installation. [xxiv] Amazon Watch has suggested “retrofitting existing hydroelectric infrastructure” as a sustainable alternative to the Belo Monte Dam, a prospect that would be both energy efficient and non-threatening to the Xingu Indians. 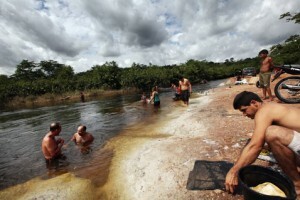 The government might start improve the efficiency of pre-existing dams by “[reducing] the startling amount of energy lost during transmission, [replacing] energy-inefficient household products, and [updating] old and dialing generators.”[xxv] Retrofitting the Belo Monte Dam would be a worthy alternative and may ultimately prove critical to the survival of the Xingu natives. Monga Bay, March 23, 2012. Accessed June 19, 2012. http://news.mongabay.com/2012/0323-fearnside_op-ed_belo_monte.html. 3.1 (2012). Accessed June 19, 2012. http://journals.chapman.edu/ojs/index.php/e-Research/article/view/308/602. [iv] Amazon Watch. 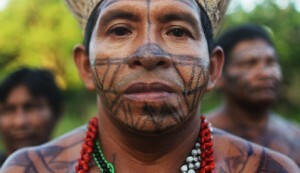 “Stop the Belo Monte Monster Dam.” Accessed June 19, 2012. Change of the Standardized Precipitation Index, its Potential Cause and Implications to Future Climate Change in the Amazon Region.” The Royal Society 363. 1498 (2008): 1767-1772. Accessed June 19, 2012. Doi: 10.1098/rstb.2007.0022. [vii] Amazon Watch. 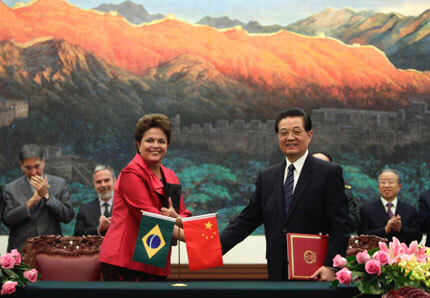 “Stop the Belo Monte Monster Dam.” Accessed June 19, 2012. [xi] Amazon Watch. “Stop the Belo Monte Monster Dam.” Accessed June 19, 2012. [xxiii] Amazon Watch. “Stop the Belo Monte Monster Dam.” Accessed June 19, 2012.